What does your horse like to do? 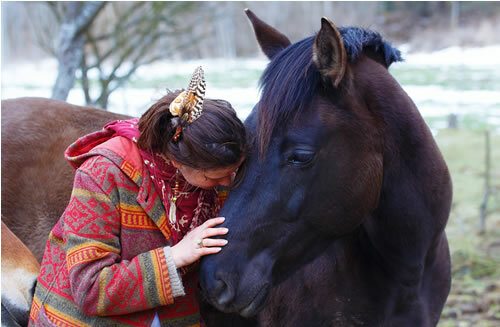 One of the best ‘people’ to ask about activities that will improve the bond with your horse – is your horse! Through their daily activities your horse will be telling you exactly what they like to do. Over the next few days observe your horse and make a few notes on how they like to spend their day. Does your horse love food? What is their favorite food or treats? Does your horse enjoy just taking it easy? Where is their favorite place to sleep? Does your horse have a favorite brush? Does your horse like to play with other horses? Does your horse like to explore new places? Is your horse curious about new things? Is there something your horse does that just makes you smile? You can use these ‘favorite activities’ to form the basis of bonding exercises with your horse (more on this in the next post). But for the moment just observe and let your horse tell you exactly what they like to do. Let us know how your horse likes to spend his or her day in the comments below. We’d love to hear from you! How does your horse like to spend his or her day?